On Friday morning December 14, 2018 at 9:38am God whispered, and a special angel was called home to heaven. 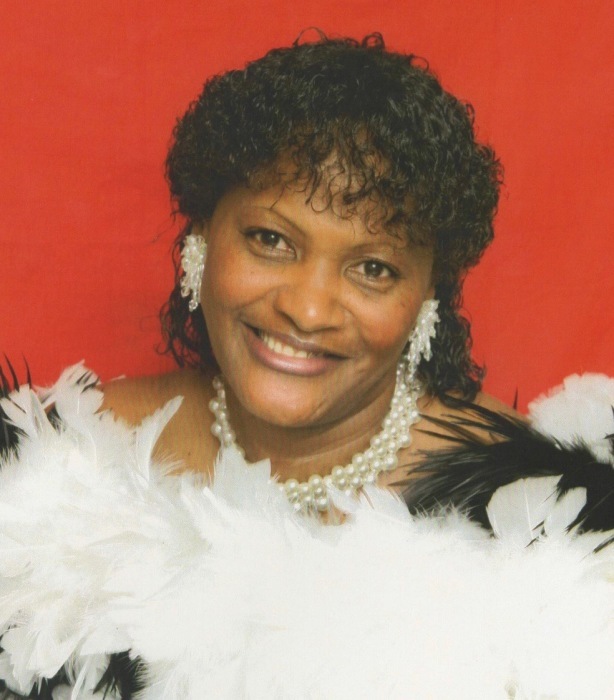 Shirelle Arline Boone departed from this world to suffer no more. She was born in Newark, New Jersey on March 24, 1964 to Alma Louise Arline and the late Curtis L. Arline. She joined Lebanon Grove Baptist Church at an early age; she later united with Victory Temple Baptist Church. She loved music, playing games on her phone, and shopping. She was employed with The Gates House Nursing facility until her health declined. Shirelle was a strong fighter until the end and she never gave up. She leaves to cherish her memories a loving husband of 18 years, Parker Boone II of the home. A loving daughter Shreeka Johnson (Cliff) of Gates, a loving mother Alma Louise Arline, a mother-in-law Alberta Boone, two spoiled grandchildren Jamiere and Brayden, a loving sister Doretha Lassiter, five sisters-in-law Arnette Hunter (Ricky), Joanne Boone, Latorn Holloman (Gary), Winifred Diggs (Herbert), Janet Dildy (Leslie); two brothers-in law Clay Boone and Darius Boone. She also leaves behind three nieces, Simone Arline, Alexis Smith, Alisha Lassiter; three nephews Michael Lassiter, Brandon Smith Jr. and Jason Gary, Jr; five aunts, Marion Crump (James), Della Boone (Charles), Linda Parker, Pearl Harrison, Evelyn Porter; and one Uncle, James O. Parker and a host of cousins, other relatives and friends. She was preceded in death by her father Curtis L. Arline, grandparents Jeff and Ida Porter, her sister Annette Arline, aunt Mary Parker, uncle Richard Porter, and brother -in-law Dennis Lassiter. We Love you Shirelle; Special thanks to Albemarle Hospice Nurse Aides at Greenville Palliative Care and a very special thanks to her Best Friend Cathy “Cat” Blow. A celebration of life will take place on Saturday December 22, 2018 at 1:00pm. It will be held at The Upper Room Assembly. The family will receive friends of the community on Friday December 21, 2018 from 4:00pm-7:00pm at the funeral home. Mrs. Boone's final resting place will be at Lebanon Grove Baptist Church.